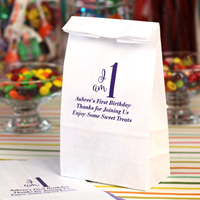 The ideal size for candy buffets, send birthday guests home with sweet treats in these personalized paper candy bags. 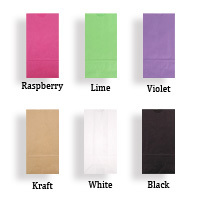 These paper favor bags are a petite version of a standard paper lunch bag, measuring 4" x 2" x 8". 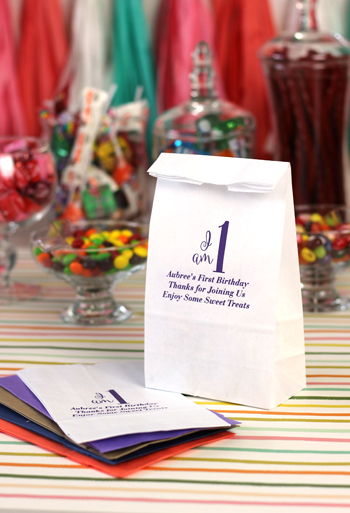 Personalize with a birthday party design and up to three lines of text to create your own custom thank you message to guests. Choose from 8 bag colors. Sold in sets of 25.